The one thing that will motivate us to visit Napa in the middle of 105 degree weather: our wine club pick-up. It felt like Vegas when we parked at St. Supery yesterday. Thank heavens for an air-conditioned tasting room. Crisp and slightly fruity glasses of Veritu and Sauvignon Blanc also cooled us down. It looked like the winery was wrapping up its harvest season. One of the workers inside the tasting room said we should check out the crush pad. 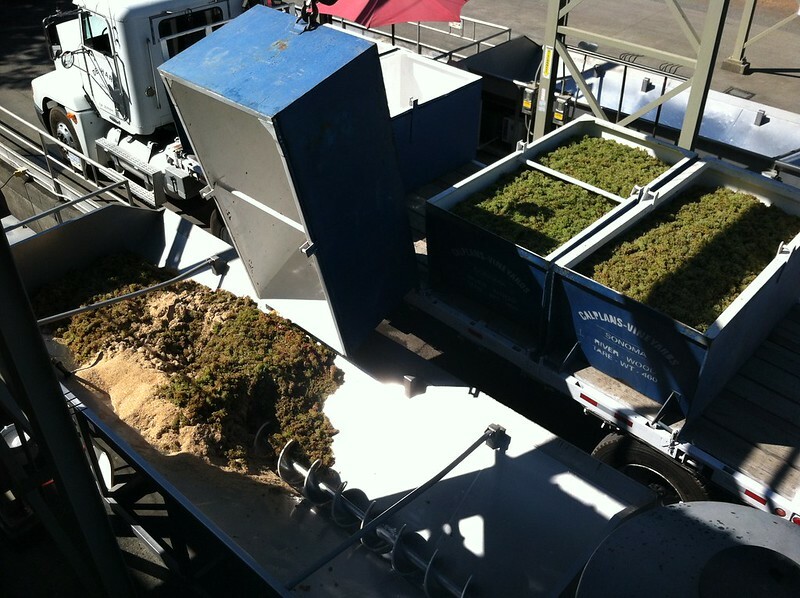 We wandered back into the heat and watched workers dump huge batches of Chardonnay grapes into the crusher. I sipped a glass of the Dollarhide Chardonnay as the giant metal corkscrew drilled into the grapes. Workers added dry yeast to kick start the fermentation. We may have been watching the beginning of a great bottle of wine. We’ll have to come back and sample it! 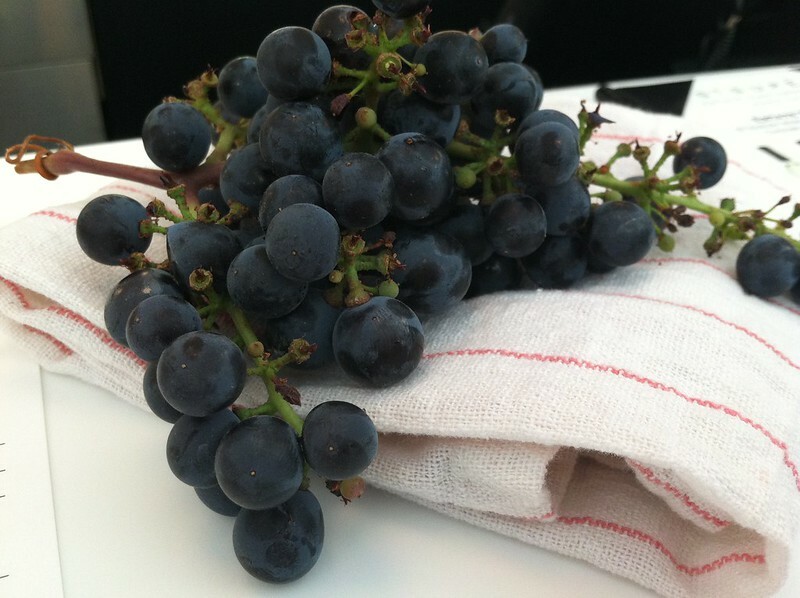 Inside the tasting room, we also sampled these Cabernet Franc grapes. The fruit tasted rich and sweet.